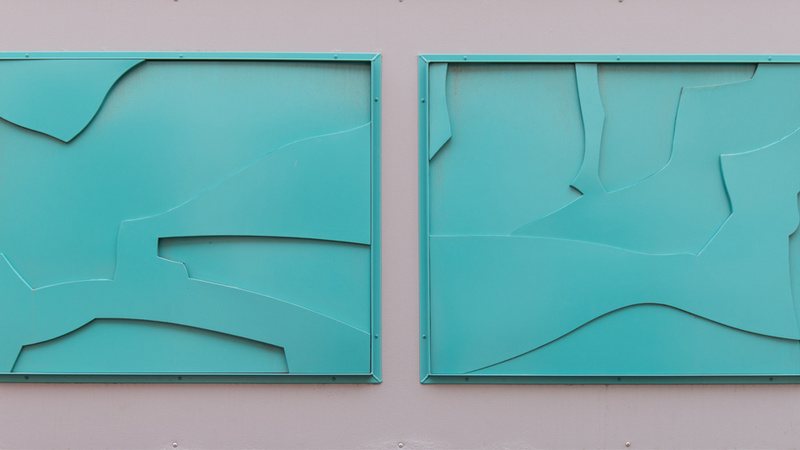 About the piece: This metal relief sculpture was inspired by the basalt rock formations common throughout Central Oregon. The shapes are a close-up perspective of a vertical overhang. About the artist: Andrew Wachs is a Bend artist and designer who owns Weld Design Studio.